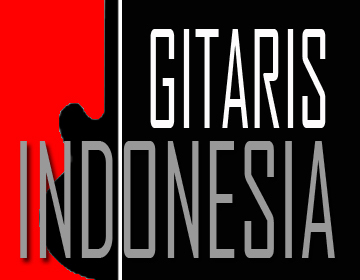 www.gitarisindonesia.com - Tjahjo Wisanggeni was born in Medan Indonesia. He started playing guitar when he was 12 by teaching himself until he finally went to a classical school in Jakarta Indonesia called Yayasan music Indonesia. He started playing electric guitar after he watched the video of Deep Purple's California jam. He finally went to Musicians Institute in Hollywood, California, USA after finishing a high school. There are many guitar players from different styles who has influenced him because he likes to listen and play different kind of music and style of playing. Tjahjo has learned guitar from many guitar players with different styles but he thinks there are only 3 of them that he really likes. He learned to play a classical guitar from Abda Wiza when he was 12 and he thinks that he got good lessons from him. Another lesson that he likes is the one from Ean Hersey at GIT Musicians Institute. He even met Jose Arrendondo through Ean in North Hollywood California USA in 1988. Jose Arrendondo was one of the biggest amp builders at the time. He was the one who invented "the brown sound" of Eddie Van Halen's. Tjahjo said that he felt really lucky to get his Marshall mod from Jose. Although Jose modified Van Halen's Marshall but Tjahjo still tried to get out of the Van Halen's sound to get a more distinctive sound of his. Tjahjo also got another custom amp from Reinhold Bogner in 1998. It was actually Reinhold's amp that used to be a 200 watt head but he finally reduced down (converted) to 100 watts. Another teacher who gives many lessons and influences is Edward O'Brien from Boston Massachusetts USA. Tjahjo had learned many things about jazz from him and thinks that the lessons are very valuable. There are other guys that Tjahjo had learned from but he thinks that their lessons are not so helpful for him to build his own style. In the USA, Tjahjo had also worked with producer like Ross Robinson (Sepultura, Slipknot, Korn), sound engineers like Jim Wirth (Incubus), Pat Reagan (Deep Purple) and played with several great musicians like bassist Ricky Wolking and drumers like Mark Bistany and Glen Sobel. 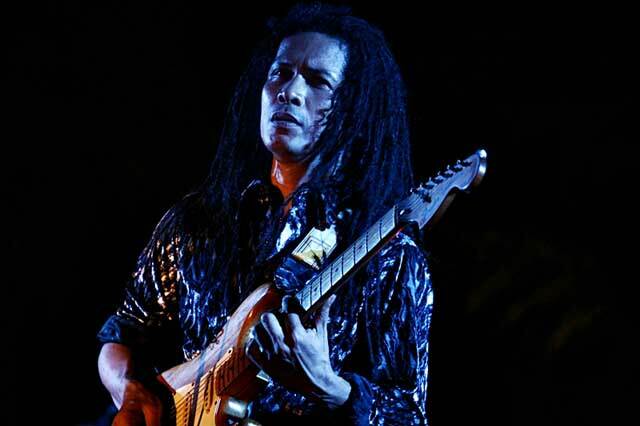 In Indonesia, Tjahjo has been playing as a guest star several times with local bands/ artists like Debu, dj Agoose, Singgih Sanjaya orchestra etc. Credit albums: Tjahjo Wisanggeni (From the other side) and Nosferatu (Visible but untouched). Tjahjo Wisanggeni recorded his first solo album as an instrumental guitar album in 1991 with drumer Mark Bistany and bassist John Stenber in Los Angeles, California, USA. 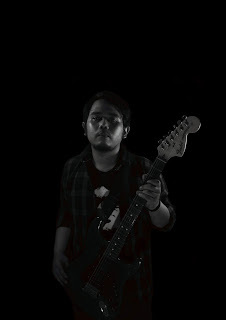 He is the first Indonesian rock guitarist who released an original instrumental album. That album was published in the USA through BMI publisher. He recorded Nosferatu in North Hollywood, California, USA in 1993 with vocalist Agus Lasmono, drummer Mark Bistany and bassist Ricky Wolking.